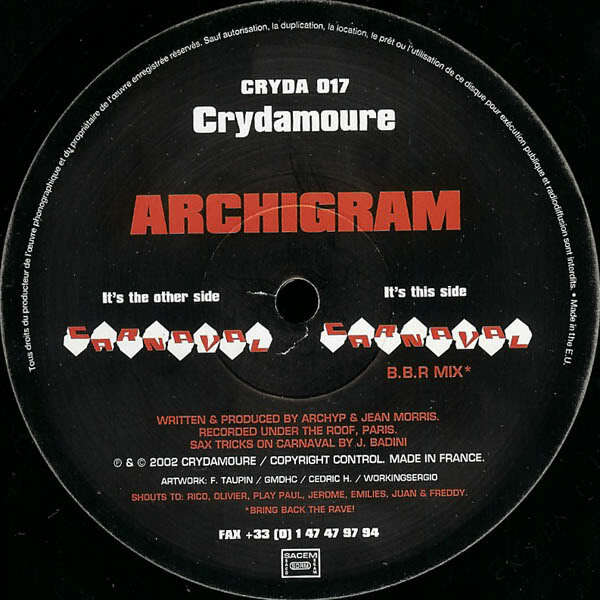 Archigram is Parisian duo who had a couple singles on the (possibly defunct) Crydamoure Label started and owned by illustrious yet mysterious Guy-Manuel de Homem-Christo (that’s the short robot in Daft Punk). Needless to say, everything pressed on Cyrdamoure is French House gold. It’s pretty much the only tunes I’ve been listening lately. House, house, and more house. I’ve been familiarizing myself with the entire catalouge, but I find myself regularly returning to Archigram’s song, “Carnaval.” It’s a really fun song with that hits all the right chords. Some horns add some extra flair. And I’m pretty sure there is Daft Punk sample in there too; I’m pretty sure it’s “Fresh.” Songs like these are always in my head. A nice steady beat will always get me though the day.